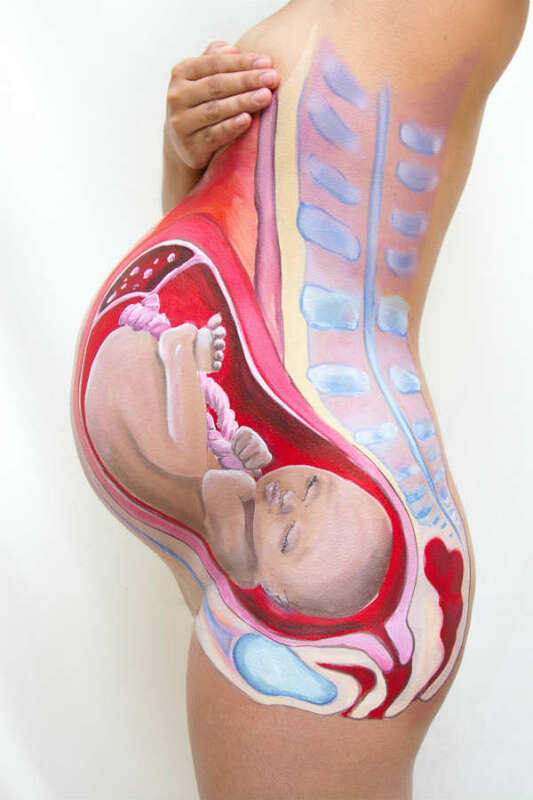 Some people see pretty much anything as a blank canvas, and baby bumps are no exception. 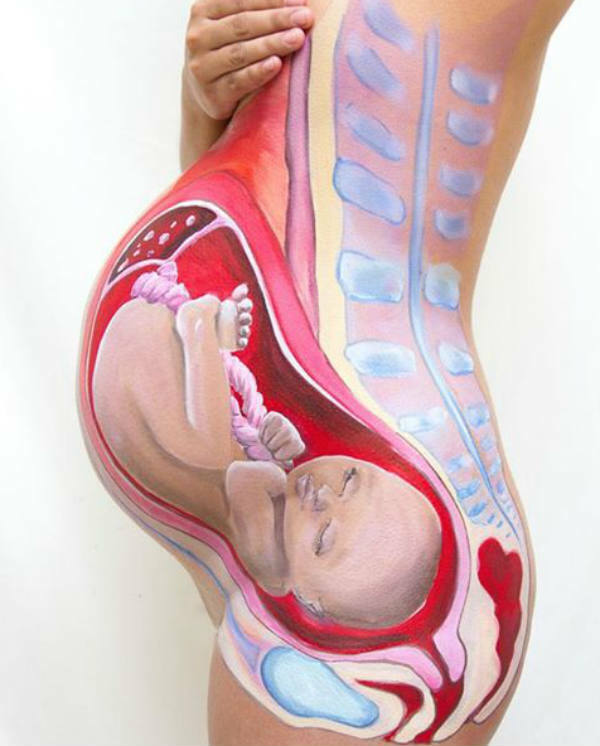 A Dutch body painter and photographer have hit the headlines thanks to their eye-catching bump art project – a realistic depiction of a baby in the womb. Fellow body painter Carrie Preston’s baby bump creations are also being admired around the world after she posted them on BoredPanda. “It may seem completely mad to some people, in fact some even go as far to describe it as vulgar. I personally see it as beautiful. Painting a pregnant bump allows you to freely express yourself, it’s fun and relaxing,” the Cornwall mum of two writes on the site. Head over there to see some of her fascinating work.